Have you been enjoying these past few sun-soaked weeks? If you are a full-blood hoosier or have lived in Indiana for awhile, you grow a certain appreciation for the hotter days given that the forbidden four-letter word is not too far into our future (Hint: it’s white, cold, and flaky). In recent posts, we talked about the negative impact heat can have on your roof’s structure, performance, and longevity. But we’ve yet to discuss how to protect your Indianapolis home from the bitter teeth-chattering polar vortex we call winter. Beefing up your roof protection for the approaching winter months is something to not lose sight of. Before you know it, the holidays will be here, causing your free time to become limited. 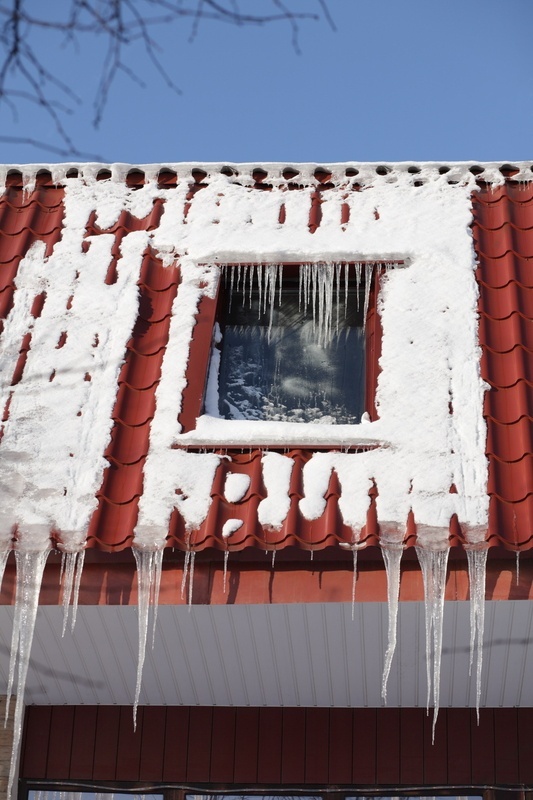 To help speed up the process, we’ve listed 5 tips you should follow if you want to increase your roof-protection this upcoming winter. Search your ceiling, interior walls, attic, and roofing exterior for leaks and water stains. A leaky roof is hassle in the summertime, you can imagine how difficult it is to trace your roof leaks under piles of snow and frozen ice. 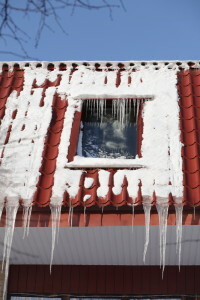 So while the weather is still nice, it’s important to seal any and all leaks that your home’s roof may be experiencing. Ensure that you use strong sealant to last you through the entire winter. By now you should know how critical your shingles are in relation to your roof-protection. Shingles are essentially the skin for your home’s roofing. Shingles protect your home from harsh exterior elements like strong winds, damaging storms, and high temperatures. If you notice that your shingles have become detached from their foundation, are hanging loosely, or appear to be bare (without granules), it’s definitely time to get them replaced or resituated as soon as possible. Having defective shingles will leave your roof’s interior exposed to all sorts of issues, including snow pile-ups that are likely to cause more roof leaks. So ask a roofing contractor to take a look at your shingles in order to enhance your roof protection for the upcoming winter season. Make sure that your home’s gutter system is clean and clear of debris and trash. Ensure that your drains working properly and aren’t clogged with unwanted crud and dirt. Having a clogged or faulty drain will leave your roof exposed to future damage, ultimately costing a ton of money. While you’re at it, make sure your strainers and clamping rings are in good shape, they are important in keeping your home dry and your roofing intact. These components are part of an effective system to support your roof protection. Make sure your home’s HVAC units are operating correctly and that warm and cold air are being distributed evenly throughout your home. Check your home’s supply lines, ductwork, and condensation lines and pipes, and ensure that they are not clogged with water or are showing signs of old age and damage. It’s also important that your rid your condensation lines and pipes of any excess water. Ensure that your lines are draining properly, and that all water has been removed from the condensation pan in all the HVAC units in your Indianapolis home. It’s also critical that you check your HVAC lines, pipes, and doors for deterioration and rusting. Check base flashing, counter flashing, chimney flashing, and HVAC flashing. Make sure that your flashing it intact, in workable condition, and appears strong enough to last you through the winter. Your roof flashing protects your home from water damage and provides industrial weather resistance to guard your home from harsh elements. Make sure that your flashing is free from penetration and wear and tear, as that plays a key role in your flashing quality and job performance, weakening your home’s roof protection. If you have further questions on how to prepare your the roof on your Indianapolis home for the upcoming winter season, please give Bob Bauerle a call at (317) 985 – 2344.